Are you designing your own kitchen? Maybe you already have an idea after pinning photos online or grabbing pictures from multiple magazines. Visualising what your future dream kitchen will look like in this manner is normal. By engaging the expertise of our professional designers your dream kitchen will come to life in the best way possible. Which is why visiting our kitchen showroom is essential to a successful kitchen renovation. While browsing online galleries and pictures in magazines are helpful, kitchen display centres feature the latest updates and trends when it comes to kitchen design and ideas. To make sure the kitchen you’ve chosen will fit the actual area, our showroom is particular when it comes to your individual requirements and preferences. Plus, you can benefit greatly from learning about the different types of storage solutions , features and specifications. View the latest technology in kitchen appliances with the latest safety features by Kleenmaid displayed in our showroom which are also great value for money. There are also new kitchen gadgets to make life easier being designed all the time. There can be a huge difference when it comes to color, size and set up in photos online or in magazines. We had one online enquiry where a client thought that the ex display kitchen that was on sale was dark brown but the actual color is of a dark eggplant shade. Consider also that the sizes and installation of cabinets, benches and more varies. 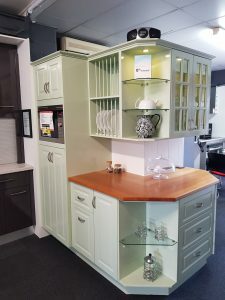 You may have your heart set on a particular lay-out of cabinets online but when you see it in real life, you find out that the texture is not to your liking or the shelves are not hardy enough for appliances. Visiting our kitchen display centre will remove any confusion that might occur. When visiting our kitchen showroom, you will be seeing first-hand the best suppliers available on the market. Craftbuilt Kitchens features the best in Kleenmaid appliances, Caesarstone surfaces, Polytec cabinets and many more. There are so many quality options to choose from. SALE! Reduced price to $1100.00! You can inspect each kitchen fixture and personally examine the hinges of the doors or cabinets, the surface of the benches, or the function of each appliance that are being offered by quality brands. Through the process, our kitchen designers will walk you through the dimensions, alignment and sizes of each fixture in order to fit your kitchen perfectly. 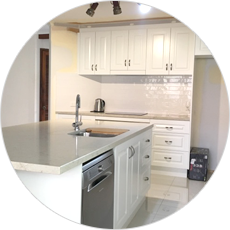 After you have chosen your cabinets, benchtops, tiles, and other kitchen measures, you are assured that you will get what you want because you’ve seen it in person. More importantly, they have met Australian standards, passed energy efficiency tests and other associated certifications. You can also view a 3D version of the whole kitchen for you to get the feel of the whole area prior to the kitchen renovation. Our Craftbuilt Kitchens designers are ready to work closely with clients like you. The showroom is open 6 days a week, 9:00am – 5:00pm, Mondays – Fridays and 9:00am – 2:00pm, Saturdays. 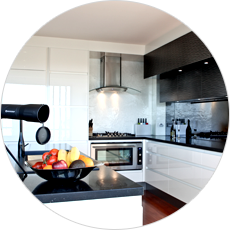 Our professional and experienced consultants are there to guide you in the whole kitchen renovation process. 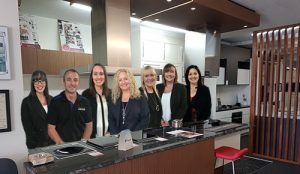 With over 40 years of experience in Brisbane, Craftbuilt Kitchens is ready to fulfill your dream kitchen after taking note of your needs and the budget you have in mind. 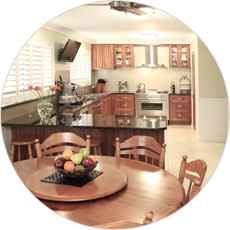 You can call (07) 3341 9166 to set an appointment and visit the showroom at 2958 Logan Road, Underwood QLD 4119. 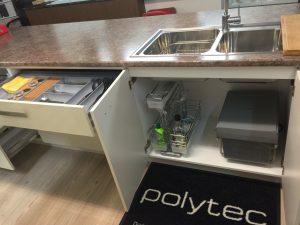 At the end of the day after visiting our kitchen showroom, you will be satisfied seeing the actual product and how they function in real life. 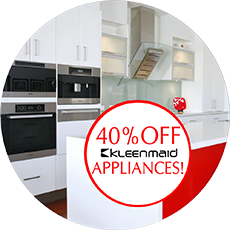 Autumn Appliance Sale With Kleenmaid Discounted Ovens – Kitchen Appliance Sale!